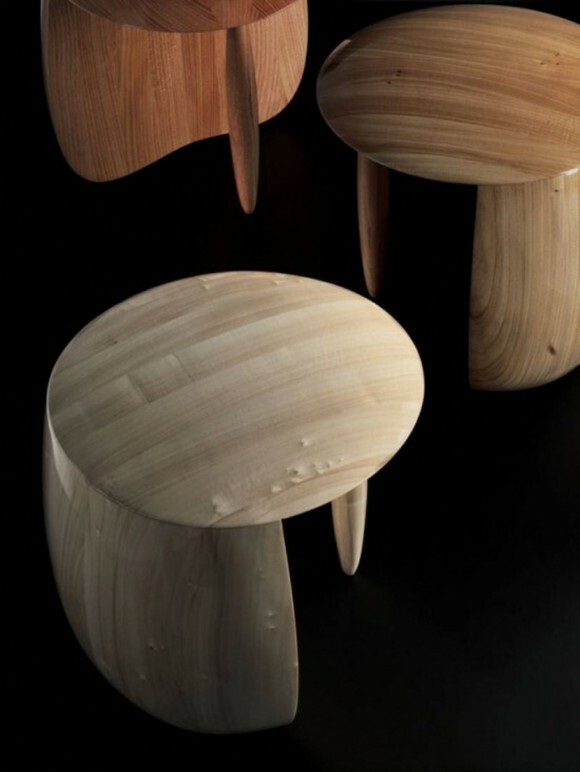 Designed from Aldo Bakker, this funny seating set furniture was designed for unique generation that still cares with natural material. 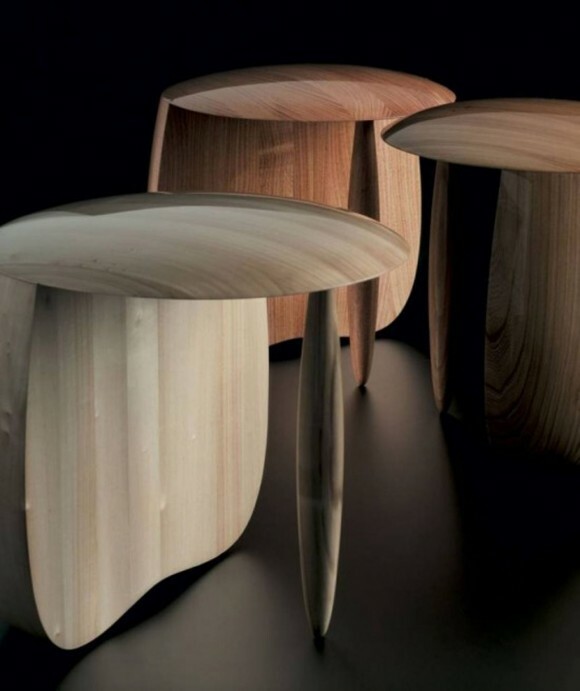 The design of this furniture was inspired from mushroom shape. 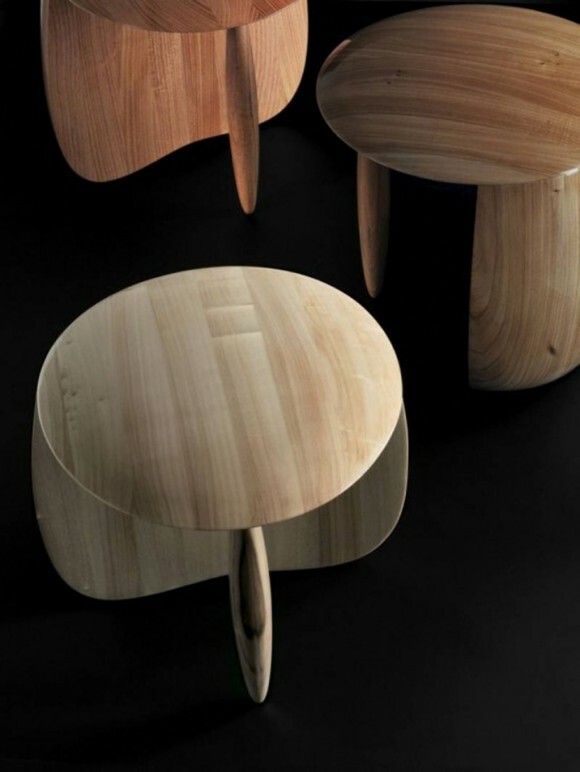 Hold with half round feet and one small additional foot in the middle space, this solid wooden stool décor will look more attractive since even this side was look small but this stuff was design quite strong to hold the human body. 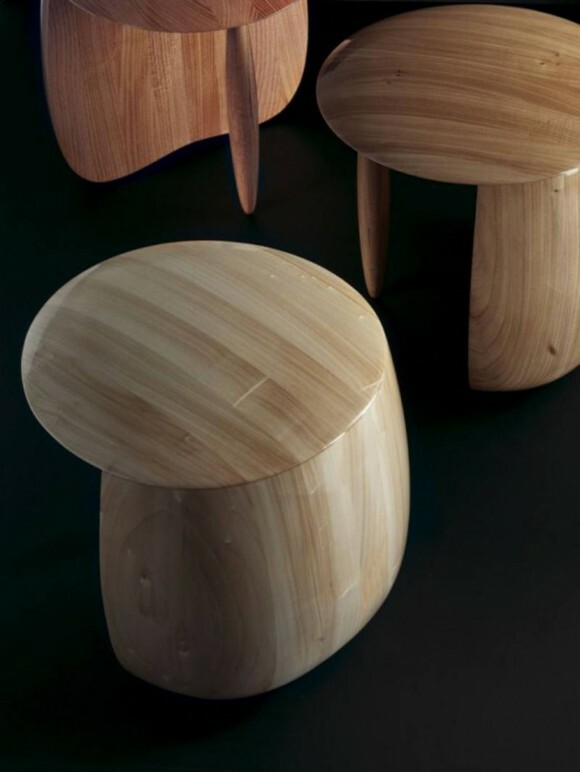 Honestly, the contemporary stool design idea from this furniture will bring extraordinary look since this furniture was designed in small unit. The color application from this stuff was cover in one color application. Shows the real contour of the materiel, the wooden ornament can be seen clearly from this stuff. The seating space from this furniture was designed in round shape that looks more awesome and comfortable to use. So, if you have free space not only indoor but also outdoor, don’t be hesitate to apply these wooden furniture designs to fill in.